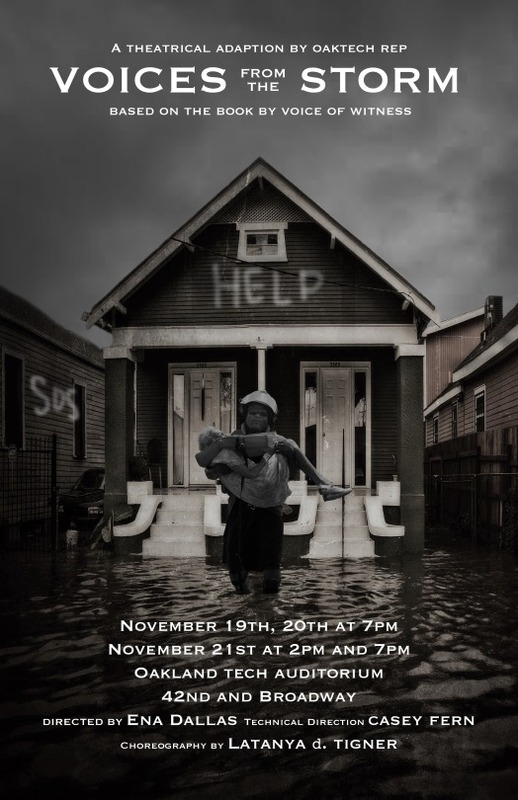 Oakland Technical High School’s award-winning, critically acclaimed student company OakTech Rep will perform a theatrical adaptation of Voices from the Storm: The People of New Orleans on Hurricane Katrina and its Aftermath. The group will bring to life the stories of 13 different New Orleanians whose oral histories are included in Voices from the Storm. RSVP on Facebook. Tickets are available for purchase here.